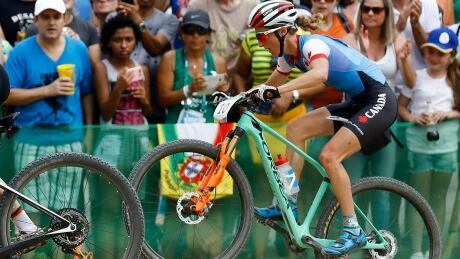 Reigning world champion Catharine Pendrel of Kamloops, B.C., overcame an early crash that dropped her to 15th place to win the bronze medal in the women's cross-country mountain bike race at the Rio Olympics on Saturday. 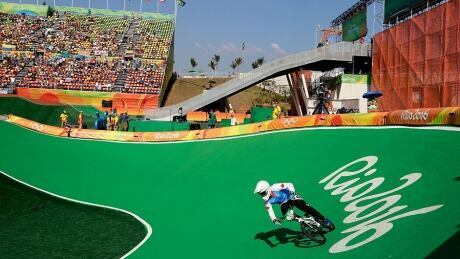 Canada's Tory Nyhaug finished fifth in the men's BMX cycling final Friday at the 2016 Summer Games in Rio de Janeiro. 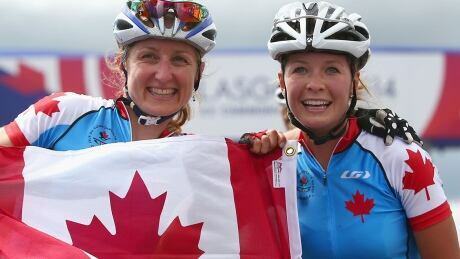 In 2012 Catharine Pendrel finished ninth as the favourite of the mountain bike event, while fellow Canadian Emily Batty was looking for a solid performance. Both had suffered heartbreak for different reasons. Here's how they picked up the pieces for Rio 2016. 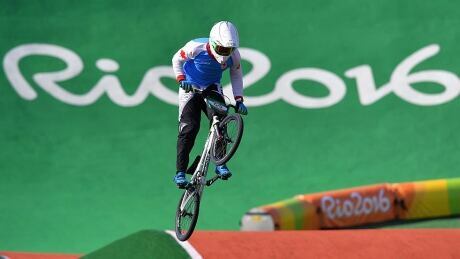 Canada's Tory Nyhaug advanced to the semifinals after avoiding a crash-filled competition in men's BMX cycling action Thursday at the Rio Olympic Games. 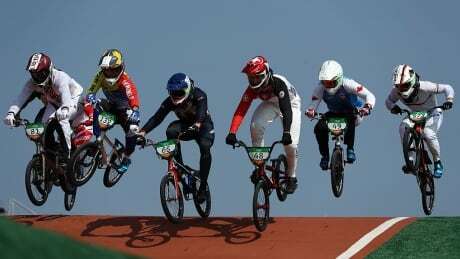 Canada's Tory Nyhaug pedalled his way to the 18th spot in the seeding run for men's BMX cycling at the Olympic Games in Rio de Janeiro. 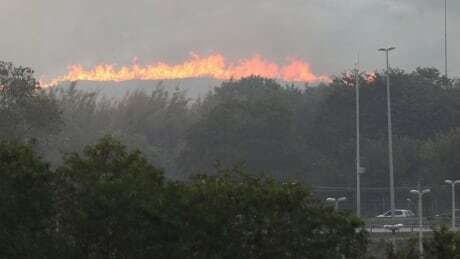 Officials will assess the mountain bike venue in Rio after a fire burned nearby on Monday. 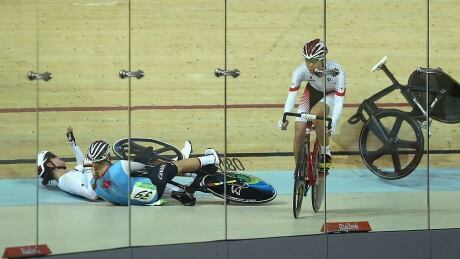 A track cycling crash involving a Canada proved costly as Calgary's Allison Beveridge now sits near the back of the pack in the women's omnium event at the Rio Games. 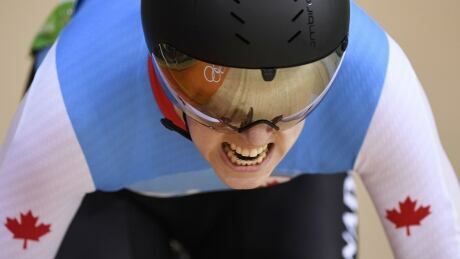 When Canadian Olympian Monique Sullivan goes home next week, she wants to be able to tell her students to dream so big that if they fail they will still land among the stars. If hey do not achieve their dreams - but have done their very best - there is value in that, even if you can’t hold it in your hands. 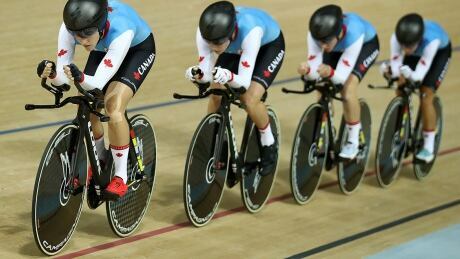 Canadian track cyclists Allison Beveridge, Kirsti Lay, Jasmin Glaesser and Georgia Simmerling will race for a bronze medal Saturday afternoon against New Zealand in women's team pursuit. 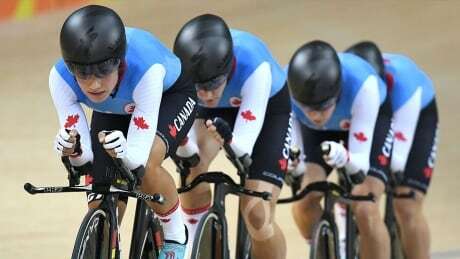 The Canadian women's team pursuit squad still has a shot at gold, but it'll have to beat the new world-record holders in order to do it. You are currently browsing the archives for the Sports/Olympics/Rio Olympic 2016/Cycling category.